This should be expanded into a book. I appreciate the work put in here and this definitely warrants many rereads on my part. One Atonement Theory to find them. and in the Académie bind them. Thanks, Derek. This was well written and well argued. “Classically, some have objected that PSA is morally repugnant because moral guilt is not transferable. It is wicked to punish the guilty in the place of the innocent. In response to this, some have noted that some forms of debt are transferable. People can pay off each other’s financial debts all the time. Why not Christ? Well, as long as it is thought of financially, yes, that seems unproblematic. But moral debt seems different and non-transferable. We are not usually supposed to punish the guilty in the place of the innocent. At this point, it seems that a few things ought to be made clear. What is the debt of moral guilt? I don’t see anything particular problematic with saying that someone who has wronged someone else is at the debt of the person they have wronged. But what can cancel out the debt? Is it suffering/punishment? Of course not. What is achieved by mere suffering? That a person who has wronged someone else is made to suffer does not cancel any moral debt. Has anything been made right? Has the evil or injustice in the wrongdoer been destroyed? Is the victim any less wronged? No – the person who committed the unjust act has merely been made to suffer. That’s not to say that punishment or suffering cannot play a part, even a crucial part, of any cancelling of a moral debt. I don’t in any way dismiss the idea of God’s judgement, wrath or punishment. There is a lot of very clear biblical evidence for it and there shouldn’t be any issue with that – God has to be angry at sin and injustice in the world and his judgement and punishment is a very good way of destroying those things. Anybody who rejects the idea of God having wrath against sin and, yes, even sinners, is on very unstable ground, in my opinion. But punishment and suffering handed out to the guilty party cannot, on its own, make up for what was done. Sin and injustice is not conquered or destroyed merely by the suffering of a person. Nothing has been made right, nothing has been made just, no debt has been paid simply by making a person suffer. To say that a moral debt IS resolved by suffering and not only that, but that another person can fill in instead is pathetic logic. I utterly agree that Jesus is our representative and our King etc. But in no way does making him suffer, regardless of whether he volunteers, make up IN ITSELF for a wrong that was done. That God loves sinners and makes a plan of forgiveness but still has to punish someone else for justice to be fulfilled is, regardless of any covenantal relationship between the sinner and the King, nonsensical. Nobody should take seriously any idea that says that justice is fulfilled when someone completely innocent is punished and that that act of punishment takes away the moral debt, the original injustice carried out by the guilty party. Jesus being King is a vacuous attempt at covering this up. He may represent and be the mediator for his people but in no way can the Father pretend a) that suffering/punishment solves a debt caused by injustice (only the destroying of injustice in the wrongdoer does that) or b) that this suffering/punishment can be passed on to an innocent man either. I’ll bring in your first paragraph on retribution (point 5) because it helps me make my point. I would partly agree with you on your starting point – I don’t see why retribution has to be pitted against restoration. I agree that God does not clear the guilty and that the righteous are not condemned. I agree that he hands out the correct measure of punishment for sin. I agree that he repays everyone according to his deeds. I agree that he exposes evil for what it is. But then I think the ultimate goal of this is restorative, by which I mean, in the most basic form, that injustice is destroyed and justice comes in its place. If this isn’t the case, then justice is very much weakened – if a person is punished for sin but they still have that same injustice within them, the very injustice that made them commit the sin in the first place, then that retributive punishment has not worked in solving the moral debt because the injustice is still there. The moral debt hasn’t been paid, there has been no making up for it, no replacing wrong with right, no lessening of the original wrong done to the victim of the injustice, no injustice taken away. “Though sadly this gets left out of many popular accounts of PSA, this is actually what classic, Reformed covenant theology is about. Jesus occupies a unique moral space precisely as the mediator of the new covenant relationship. Most people cannot take responsibility for the guilt of others in such a way that they can discharge their obligations on their behalf. Jesus can because he is both God and Man, and the New Adam, who is forging a new relationship between humanity and God. This, incidentally, is just a variation on Irenaeus’ theology of recapitulation (re-headship). As all die in Adam, so all are given life in Christ (Rom. 5:12-20). If Christ dies a penal death for sins, then those who are in Christ die that death with him (2 Cor 5:14). His relationship is, as they say, sui generis, in its own category. There is no moral logic there at all. Injustice is not dismissed and justice is not fulfilled merely through the suffering/punishment of the wrongdoer, and certainly not through the suffering/punishment of the innocent, and Christ being our representative does nothing to solve this problem, for he is righteous and the righteous may not be condemned, unless of course he is condemned (wrongly) by the unrighteous (which he indeed was). 1. I think you might be interested in the Lewis, Packer, and Williams’ articles I link throughout. They deal with a number of your underlying questions about justice. 2. I don’t say that retribution is the only element of justice in the atonement. I think I made it clear that it’s only part of the equation and that it’s aimed at a larger, restorative goal like union with Christ and the gift of the sanctifying and restoring Spirit that changes us into just people. Honestly, again, the articles are probably helpful on a number of these issues. 3. There are certain places where we need to let the logic of Scripture reshape our own presuppositions about justice. Things like representation, corporate personhood, kingship, and so forth, is one of them. Thank you very much for the response, Derek, I appreciate it. I should probably have added this in my original comment, but I did like and agree with your answers to a number of the common objections to penal substitution in this post – if we’re going to be critical of something we disagree with, we should at least try and accurately represent the best arguments the other side are making and I thought a lot of your answers to some of the common objections were very well explained. I personally find a lot of the popular objections to PSA to be a little frustrating – if for example you use arguments that are based around trying to play down the idea that God has wrath or that he punishes (which I see too many people use), then I’m not quite sure how you manage to read the Bible at all. Thank you for trying to answer some of these objections, I think it’s hugely helpful to the debate. I’ll make sure to read those articles as well and I hope they correct me if there is anything wrong in my thoughts on this. I don’t believe that I either said or implied that you made out that retribution was the only element of justice within the atonement, though I apologise if I did. I think you’re absolutely right that it’s only part of the equation and that the overall aim is a restorative goal. What I object to is different – it’s the idea that retribution is a legal requirement of God’s justice. Frankly, I find that a nonsense. That God has mercy on a person and chooses to forgive and not punish them is not enough for justice to be fulfilled under this idea – He still has to find someone to punish for punishment’s sake, otherwise He is unjust. But as I’ve tried to point out, this in itself solves nothing; it wipes out no moral debt, does nothing to deal with injustice, does not right the original wrong AT ALL. It just makes someone suffer for the sake of suffering – it is meaningless. And far from being aimed at a larger restorative goal, it is actually a block to it – that punishment has to be given for justice to be fulfilled means that God has to punish someone in order to forgive and bring about restoration. It means He cannot show mercy by letting a person off, for if every sin requires punishment for justice to be fulfilled, then to show mercy and not punish would be unjust (which would go against quite a lot of biblical evidence of God doing just that). That is a hindrance, not a help, to restoration. I agree. If I find scripture leading me that way, I’ll aim to adjust my view as humbly as I can. But not only do I see no biblical evidence that God attributes our sin to Christ, even as our representative and king, I find this to be a meaningless cover-up of the hideous notion that the suffering of an innocent man offsets the sin of a guilty person. Saying that he’s our representative does nothing to absolve this concept of its inherent injustice. I agree that, substitutionary atonement, penal substitutionary atonement and every other soteriological paradigm which asserts that the murder of Jesus Christ is a direct benefit is a soteriological error. 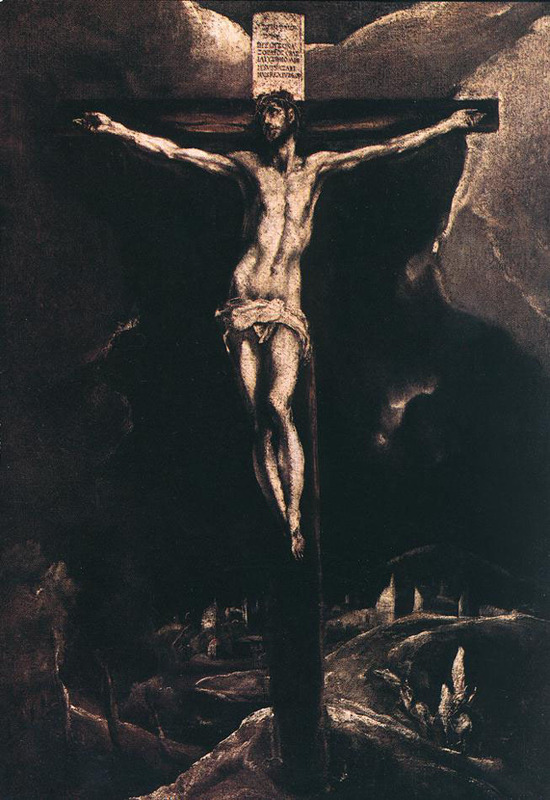 Jesus warned prior to being murdered by crucifixion of there being a particular existing type of soteriological error, that if just a little pinch of it were to be mixed with the true soteriological paradigm he was going to perfect by being crucified that the result would destroy the whole soteriological paradigm that is true. The error he referenced is stated in Jn. 11:49-50. “it is better for you that one man die for the people” falsely alleging that a direct benefit from the sin of murder can be obtained. There is not any soteriological paradigm articulated by any of the contemporary churches which does not allege that the sin of murdering Jesus Christ is a direct benefit. “Christ being our representative does not solve this problem” you are correct; but what is it according to the Scriptures that actually does solve this problem? P.S. I am amused that the blog’s author has classified the subject of discussion as theology rather than soteriology and alleging that the cross is beautiful is absolutely absurd. I am amused that the commenter refers the author in such a way as to suggest the author cannot read the comments. I am also amused that the commenter doesn’t seem to see the connection between soteriology and theology proper since issues of the Holy Trinity, simplicity, the attributes, divine causality, and divine justice are all at stake in the question. I like your definitions of judgment and wrath. They make sense to me. As you know, I agree with you that the problem is not penal substitution itself, but the *ubiquitous* popular caricatures of penal substitution, which you acknowledge in passing but don’t really address. You haven’t gotten yourself off the hook by just throwing out an “abuse does not forbid proper use.” There’s a reason why John Piper tweets what he does. I think it’s incumbent on the defender of the theory not only to distinguish the classical version from the popular caricatures but to offer an account of how the popular caricatures have emerged. I don’t think there’s anything more damaging or alienating in evangelical theology today than the popular caricatures of PSA. Everywhere I’ve seen penal substitution deployed in popular evangelical theology, it causes ethics to be understood in dangerously solipsistic terms. What I’d really be interested in seeing you write about is *why* penal substitution is caricatured and abused the way that it is. Because the more fully textured version you are presenting here is very *rarely* preached in the Calvinist megachurch pulpit. It seems to me that the caricatured version of penal substitution is very attractive to middle-upper class suburbanites. I have my own cynical speculations about why that is. I’m interested in hearing why you think it is. Ya, Morgan, that’s a very different post. I’m not sure I’m qualified to write that yet. There’s a lot of speculation I’d have to engage in. 1. A lot of people in the popular pulpit haven’t done a ton of reading in classic Reformed categories. There’s been a general watering down of academic capabilities in Evangelicalism at large. 2. Those who do have it are often pressured due to preaching restrictions to take shortcuts in sermons. People want you to be practical and so you don’t take a bunch of weeks to explain union with Christ, or fine-grained clarifications of wrath. That’s not necessarily right, but it’s a thing. This is one of the better presentations of PSA within the blogosphere that I’ve read. If more people expressed the nuances of this view like you I do think there would be less blowback against it. I still think with all the nuances, that the summarization of this view for mass consumption still comes across as expressing sin as the “forgiveness rock” that God couldn’t lift until someone perfect was killed. I do think if it was expressed that cross doesn’t give God the ability to forgive sins, but it absorbs the penalty and ‘natural’ consequence of sin=death that with that distinction it would make it a little more faithful to the NT narrative and the witness of the church pre-Anselm. I would suggest that in that way that it is first Christus Victor because the problem is the effect of sin and the power of sin/death (held by the devil and not God ie Hebrews 2:14), not God’s ability to chose to forgive which I believe the prophets, John the Baptist, and Jesus make clear happens thru genuine repentance . We needed change of state towards God and not God towards us. Because the power of sin and death is broken, we can be reconnected with the author of Life thru Christ and the indwelling of His spirit, and then on the day of Judgement those in Christ experience the penal substitution of being acquitted and pardoned, fully sanctified and glorified. I’m not so concerned why He did it. Just that He did it. You have not heard from me before, but I am a regular reader of your email posts and Blog articles. I was looking forward to the time you’d focus in some detail on this subject, considering that it was inevitable you would. Thank you for doing so, it was a real treat. I really appreciate your investment of time in this. 1. “Atonement” seems to be cast more in ritual/cultic terms – blood, cleansing, purification, access – rather than legal or court language. Similarly, “wrath” doesn’t seem to rely on court language, but vengeance language – it is the prerogative of a king taking punitive action, not a judge pronouncing condemnation. It seems that part of the problem is that we are trying to fit atonement into a framework in which it doesn’t fit. Is there a reason why we should understand it in judicial terms rather than cultic and royal terms? 2. Relatedly, this judicial reading does seem to create the idea that Jesus endures a unit of wrath for every unit of sin committed. At least, this is the sense one gets when hearing some arguments for limited atonement. It seems that many have crossed atonement language (substitution), ransom language (payment) and judicial language (charges), resulting in the notion that Christ suffers the specific punishment for each specific sin, thereby paying the price of all the sins of the elect. But should we cross these images? Is that how atonement actually works? It just seems to me that a) this looks much more like the promise to Abraham, and the gospel, than Sinai; and b) every covenant, even Abraham’s and the new covenant, includes obligation. 1. I think I tried to use royal terms as much as I could, though I did give the cultic dimension the short shrift due to space and my unwillingness to dive into exegesis in the post. Leon Morris, though a bit dated, is excellent here. Also, Vanhoozer and Horton have great stuff. I think overall it has to be comprehensive including Christ’s role as Prophet, Priest, and King. All three dimension of his office are involved in his atoning work. Also, one other thing that has to be considered is that kings exercise judicial functions. Kings are judges, the law is the king’s law, and the covenant involves a kingly Suzerain, so there’s a lot of conceptual overlap. 2. Yes, you’re totally right that this is how much of the conversation proceeds. And I do think there is a place for it. Though, I would point you to Garry Williams’ article on double-payment in “From Heaven He Came and Sought Her” for a reframing of limited atonement in terms of non-pecuniary specificity. I would just say that it’s important to balance any measure of specificity within a broader framework of idolatry and death. 3. On that, I think the total package reflects a covenantal framework of works, especially when you consider the command to keeep and tend the Garden (ie, defeat the enemy, the serpent), obey the Lord, keep from the tree, and so forth. Horton and Beale are very helpful here beyond that little quote I had linked. There’s about 10-15 pages in Beale backing it, and much more elsewhere. I don’t deny there’s a univeral blessing in the “be fruitful”, but there seems to be an imperatival element as well. Great job, Derek. Whenever I read Isaiah 52-53 it’s impossible not to see some sort of penal aspect in the prophecy about the work of the Messiah. Would it be possible for you to email me the four papers you wrote on the exegetical basis of PSA in the gospel accounts? That sounds tremendously helpful. Thank you for helping make the cross seem not only defensible but beautiful. Thank you for the time you have put into addressing these questions on Penal Substitutionary Atonement. I hope we can dialogue on this subject in detail in the future. I understand that in this article I did not address all the counter-arguments you brought up in your article above. I had not read your article before writing this. I did take note of a few of your counter-arguments though and hope to address them more thoroughly in the future. I also hope to read all of your articles on Penal Substitution in the near future. Thank you for your post. Well written and very comprehensive. I would like to hear more from you on point number 12. This is my biggest problem with PSA. I do believe that PSA begins with a concept of justice that is a philosophical construct. There is no way around it. God is just and therefore must do X.
I look forward to rereading this. You definitely are doing your homework. I appreciate it. Many thanks!! PSA is the lie. Sure you can murder a man in your place, but you only make yourself guilty of first degree murder. The next problem PSA has is JN. 16:8 “When He comes he will convict the world of GUILT in regard to sin” the sin of murdering the only begotten son of the living God. See Acts 2. Jesus Christ was not murdered in anyone’s place. PSA is the greatest soteriological poppycock assumption that has ever been conceived. What are thoroughly convincing, nuanced, and helpful response. I suppose I must now repent of my theological deception due to the penetrating arguments presented here. Thank you so much, sir. And Derek, I hope you have a spare sack cloth suit and bucket of ashes for me to join you with. To start, I have to say that this is as good a presentation of PSA as any I have read and it is going to take me some time to digest it as I had previously thought there was no way PSA made any sense. But you did lose me at #16, and I would just like to challenge you to maybe rethink this issue a bit. You seem to suggest that it is the Western liberal mind that has problems with a pacifistic reading of the Bible, but must certainly be aware that American Evangelicals are also the most ardent supporters of capital punishment, foreign military intervention, corporal punishment, harsh prison sentences, the use of torture, etc., and I’m convinced it is because they think the Bible supports the use of violence to solve all the world’s problems. I’m not saying that’s a reason not to reject Christian pacifism if indeed the Bible supports the use of violence for Christians, but I’m quite surprised you would throw out a statement like “copious amounts of biblical evidence” in support of divine violence, because I see zero. Jesus said, if you’ve seen me you’ve seen the Father. He said, you have heard it said, an eye for an eye and a tooth for a tooth, but I tell you to love your enemies. Implicit in his entire ministry was that we had a distorted image of God the Father and part of his ministry was to correct this, EVEN those who had the scriptures, maybe particularly those who had the scriptures. So before you say something like “copious amounts of evidences”, I would say read what Jesus said again and see if you still think there is. And yes, it’s going to require you to radically reinterpret the OT, just like Jesus and Paul did. An maybe it’s going to require you to have a canon within a canon, but you already employ a hermeneutic that allows you to disregard a bunch of very explicit statements of Jesus against violence, so why no just use a different one that allows you to discount the texts in support? I see nothing wrong with that. What I do see is fallen man’s natural inclination toward violence and a need for us to justify it by appealing to divine commands. If anything, that knowledge should be enough for us to bend over backward to read the Bible a differently if the Bible will permit, and I happen to think it not only permits, but demands. If you think of one thing that was radical about the ministry of Jesus Christ what would it be? The golden rule? Buddha came up with that centuries earlier. Miracles? A dime a dozen in those times. It’s that God would become man, and allow himself to be murdered rather than respond with violence. It is a repudiation of violence as as solution for anything. It is the ultimate reminder that violence only begets more violence and that God loves everyone and offer forgiveness for all, no matter what the sin, even deicide. Finally, as someone who is reformed, well, let’s just go back to the very beginning, since that’s what the reformation is about? The early church was slaughtered for their faith and there was never any thought of retaliating or defending themselves, same for Paul and all the Apostles. So I can’t think of anything more fundamental to the Christian tradition than non-violence and I have yet to hear any reasonable defense from the scriptures (they all go back to the OT, which again, I think is just a flawed approach). I just can’t see how divine violence has any place in Christianity, it’s pagan concept, and for Calvinists (which it sounds like you might be), it makes even less sense. A sovereign, omniscient God has no need to resort to violence, it suggests that he made a mistake somewhere down the line (think angry child and his ant farm). Anyway, I’m certain you have thought about these issues, and I actually don’t think your formulation of PSA requires advocating for any form of divine violence, so it was disappointing to me that you would throw that out there like that. Thanks for your comment. I’m glad this made more sense than usual. Also, I’m sorry #16 threw you. Let me see if I can clarify a bit. Your response reveals we have a couple of different presuppositions going on. First, you think having an explicit canon within a canon is an acceptable option. I do not. I look at Jesus and see him affirming the entire canon and so therefore I want to as well. In other words, I take the Old Testament to be revelatory of God’s nature and character and I see Jesus affirming that. a. Clearing up poor interpretation of OT Law. b. Indicating a change in covenant administration. Yes, things are different now. We are not in an OT theocracy and the church is a transnational Kingdom that does not wield the sword to bring the Kingdom of God, but the power of the Word and the Spirit. -The overthrow of Egypt with all 10 plagues, including the death of the firstborn which is explicitly described as God judging the gods of the Egyptians. -God striking his own people after their grumbling in the wilderness with plague multiple times. And these are just a few of the instances in the Torah alone. I could go on down through the histories into the prophets to speak of the Exile which clearly depicts God as judging Israel through the swords of Assyria and Babylon, not to mention the forecast of coming, violent judgment by God upon the nations. What’s more, this isn’t even just an OT thing. I know it’s possible according to some to write off most of the violence depicted in Revelation as hyperbolic and literary, so simply consider the book of Acts, with striking down of Ananias and Saphira, or the death of Herod. Luke attributes both of their deaths to the activity of God. There is no other interpretation that does not do massive violence to the text other than to see God’s hands in. What’s more, Jesus own teaching affirms God’s judgment in text after text. Honestly, I don’t think you’ve considered just how much of your Bible you have to chop up in order to fit the picture and hermeneutic. But if you want to believe that there is absolutely no place for divine violence in judgment, then all of these passages have to go. I, for one, just don’t have the confidence in my own theological inspiration to make that call against the authors of the Scripture that give me the picture of Jesus I’m depending on to make those judgments. FWIW, I think all of the evidence I just presented can be reconciled with a sort of pacifistic position. As I noted, Miroslav Volf is a pacifist who allows for divine violence and Preston Sprinkle’s book “Fight” is the best argument for it I’ve seen. Well, I hope this helps clarify a bit. Derek, thanks so much for the reply, I was thinking about how best to respond and I think I will just leave it at two points and I hope you will just consider them even though I know it is hard for folks to change their minds about things like this. I agree, but I think you have to admit that you are also making a presupposition, just a different one. This is an easy accusation to make, but it is something that we all do, the question is to what extent do you want to ignore what is in the OT. You want to ignore, or find some reason not to have to follow all the ceremonial laws in the OT and then you make an assessment as to what those entail. I’m not saying there is anything wrong with that, it’s just that we all have a different understanding of what living under the New Covenant means and why the OT reads the way it reads. I don’t think you are being fair in assuming that this is as clear as you think it is, there are lots of folks that will take that a lot further than I’m sure you want to go, like Dominion Theology. But here’s the thing, you do exactly the same thing. You just chop up the Bible in different ways. I really want you to take this seriously. I know that historical -grammatical folks think that they are somehow restricting their ability to insert their own ideas into the Bible, but the more I think about this, the more think it’s completely the opposite. The Bible has thousands of passages, and frankly, I think it actually gives conservative Christians really wide latitude to hold on to beliefs about what is acceptable as a Christian that go against the very literal words of Jesus. Again, I’m going to go to things like support for torture, capital punishment, military invasion of foreign countries, oppression of other religious followers, etc. These things seem to all be “acceptable” by jumping over a lot of things that Jesus literally said NOT to do and going back to the OT and picking versus you like about how God smote people. Well Jesus said that his teaching were greater than those of Moses, I mean to the extent that the Jews wants to kill him. Frankly, I’m going to go with what Jesus said about things if there is ever any conflict, and that absolutely does clarify things on all sorts of matters. So it’s odd to me when I hear conservative Christians looking for “clear” teachings in the Bible for them to ignore what Jesus clearly says about a whole bunch of things in the name of taking the “entire” Bible seriously. The problem with this approach is you end with exactly the opposite of what you were looking for in the first place. And that all begins with the assumption that the Bible even operates that way, as a unified whole with no contradicting testimonies or different voices. The more I read it, the less and less I believe that is a supportable position, it’s just dogma. I have never heard someone present a clear argument as to how you can “reconcile” all the versus of the Bible like a massive jigsaw puzzle, whenever I do, it sounds contrived, it is strained, it is not believable. As Bart Erhman says, you can take all the differences in the gospels and reconcile then, but you would then have a fifth gospel. I don’t agree with his conclusions about what that means, but he clearly has a point. I’m certain this is the product of Western modernity and not what anyone in the early Church every believed. So I think you are taking for granted the difficultly your own hermeneuitc presents in articulating a clear theological position for the Christian. I will definitely check out the books you have recommended. Thanks. Thanks for the reply. I’ll respond this and then I’ll probably leave it at that. First, yes I do begin with a different presupposition, but I think it’s one that I get from Jesus, all the apostles, the early church Fathers, medievals, Reformers, etc. It’s the sufficiency, unity, and authority of Scripture as God’s Word. This is not arbitrary. Second, I don’t think this is an easy charge to make. I make in light of the history of theology, my observation of current trends in progressive theology, and the shape of the argument you’re making. It is simply a misrepresentation to say that I want to ignore the laws in the OT. I’m trying to follow the NT shape of continuity and discontinuity that due to the change in covenantal administration. As for the “ease” of it, I don’t think it’s easy at all. In fact, I think my position is the harder of the two because it’s far easier in my opinion to simply collapse the apparent tensions that you’re appealing to and simply scrap large amounts of Scripture as Scripture. In other words, it’s precisely because of what I read Jesus saying that I don’t read Jesus the way you do. As for your judgments about the unity of Scripture, quoting Bart Ehrman, a radical critic whose theology took him into outright atheism probably isn’t a good step for remaining a faithful disciple of Jesus. But that aside, honestly, I have been coming to the exact opposite conclusion after more and more years of reading the texts, seeing the intricate layers of intra-canonical resonances, fulfillments, and longrange biblical-theological themes—the overall unity of the canon is actually astonishing. So frankly, I’m not surprised or impressed that certain arguments and reconciliations sound “strained” to you. My experience has been largely the opposite. Anyways, sorry if I’m coming off aggressive here. Not my intent. The books I pointed out do a much better job of handling these issues than I can in this brief space. BTW, I’m just spouting off here, I don’t by any means want to come across like I believe it is easy to read the entire Bible devoid of divine violence, I think Gregg Boyd has a lot of interesting ideas in that respect. But the point I am just trying to make is that I think it is worthwhile exercise because simply accepting divine violence whole-heartedly presents it’s own set of theological challenges. Late to the discussion but I had to leave a few thoughts. I read the entire article and all the comments. This is a great comprehensive defense of PSA. But it is a view I held for over 40 years and had to abandon. First, I was struck by the fact that PSA is so widely caricatured and misunderstood and why something so “good” and “Biblical” is so complicated to explain. That to me makes it suspect. Did God love/forgive and therefore He gave or did He offer a sacrifice in order to love/forgive? You’re confusing God’s motivation of love which moved him to accomplish the act of love which results in the goal of reconciled/consummated love. God’s stance of love moves to correct the situation of relational alienation and emnity. I might love someone I am at war with which moves me to initiate a peace treaty with them so that we can be at peace and my love can reach its intended goal. As for the rewriting of Scripture, that’s a very simplistic way of putting things. If that’s the way you read the Bible back when you held PSA, then I can understand why you abandoned it. That doesn’t require me to abide by those formulations. 1. Since substitution is universally accepted, it is important for us to also consider to what extent someone could argue Jesus to be our substitute. Not only does the theory of substitution fall under the weight of the scriptures in regards to accountability, but it also falls under the weight of its own implications. 2. Jesus did not take our place in physical death. Since Jesus died for all people, how did He physically die in the place of all people? All people must physically die (Hebrews 9:27). Therefore Christ did not take our place in physical death. 3. Jesus did not take our place in spiritual death. Jesus did not die spiritually and, therefore, could not have taken our place in spiritual death. Some have tried to teach that Jesus died spiritually on the cross, explaining the three hours of darkness and Jesus’ statement “my God, my God, why have you forsaken me?” However, the Bible never attributes the darkness to Jesus being spiritual separated from God. Further, Jesus declared that the Father would never leave him or forsake him (John 8:28-29; 16:32). To even suggest that Jesus was spiritually separated from God should make us shudder at its implications. 4. Jesus did not physically die to take the place of our spiritual death. There is a punishment for sins that is worse than physical death (Hebrews 10:26-39). A physical death cannot stand in the place of eternal, spiritual death. His physical death could not be a substitute for our spiritual death. 5. Jesus did not take our place on the cross. How could Jesus have taken our place on the cross for sins when none of us have ever been scheduled to die on the cross in the first place? For Jesus to be our substitute on the cross means that I was supposed to be on the cross. But the Bible does not teach that man was to be on the cross. 6. Jesus did not take our place in suffering for righteousness. There have been Christians who have suffered more physical anguish, pain, and torture than Jesus suffered. If Jesus took their place in suffering, why did the apostles suffer? Why do Christians suffer? Why did Jesus tell James and John that they would drink the cup he was about to drink (Mark 10:38-39). Jesus did not take our place in suffering. 7. Jesus did not take our place in punishment for sins. The penalty for sins is eternal death, eternal separation from God, and consignment to eternal torment. Jesus did not experience any of these things and therefore did not take our place for punishment. 8. Jesus did not remove the wrath of God against sin. God’s wrath is still in place against all sinners (2 Thessalonians 1:6-9). If the death of Jesus on the cross appeased and took away the wrath of God against sin, then the very nature of God was changed. We would expect that God would no longer have any such wrath and would render no punishment for sins on anyone. 1. What about all of the Old Testament analogies we frequently use to show substitution? Let us take a moment to consider a few of them. The offering of the ram instead of Isaac is a case of substitution. In fact, the Bible clearly states the ram as such: “So Abraham went and took the ram, and offered it up for a burnt offering instead of his son.” Is it not interesting that the Bible has no problem declaring the ram a substitute for Isaac, but never declares Jesus to be a substitute for us? 2. Unfortunately, we are frequently told the Abraham represents God, Isaac represents us, and the ram represents Christ. Therefore, Christ became our substitute. However the Bible does not make this analogy. But Hebrews 11:17-19 depicts Abraham as God and Isaac as Christ. Isaac figuratively rose from the dead and returns to Abraham. In the same way, Christ rose from the dead and return to the Father. If anything, the offering of Isaac shows that no one would be there to stop the hand of God from slaying his own Son like Abraham was stopped by an angel from slaying his son. God would offer his son for the sins of the people. Maybe the reason there was a ram caught in the thicket and not a lamb was to prevent us from making a false analogy. 3. Further, Isaac was scheduled to die on the altar. God had decreed that Abraham slay his only son. The ram became a substitute for Isaac. But we were not scheduled to die on the cross. If we had, we may be able to say that Jesus stepped in and took our place, dying instead of us. But we have seen this is not true. The Bible never declares that Jesus took our place nor that we were to die on the cross. 1. The scapegoat was set into the wilderness after the sacrifice of atonement had been made for sins. The scapegoat symbolized to the people that their sins were being taken away from them through the activities on the Day of Atonement. Jesus is seen in the sacrifice of atonement and not solely in the scapegoat. In fact, the scriptures never liken Jesus to scapegoat. Jesus is likened to the sacrifice. 2. Further, the sins were not literally transferred on to the scapegoat. We know that the blood of bulls and goats did not take away sins (Hebrews 10:1-4). The sins remained with the people. The scapegoat simply symbolized God overlooking these transgression until the true sacrifice of Jesus could come. In the same way, Jesus did not literally carry our sins on him. Rather, Jesus’ sacrifice, resurrection, and ascension shows that our sins have been taken away from us. I was a staunch follower of PSA for many years and even taught it. The above propositions caused me to have a rethink. However, I always have an open mind with regard to spiritual matters. What do you think? Thank you for your spirited defense of PSA. If my sin cannot be transferred to another, I am lost. I can think of few truths more important to defend. Pingback: Krisis & Praxis » Blog Archive » The Most Serious and Severe Departure from Biblical Faith in our Day?